These white and pink leather baby shoes for girls ages 0 - 2 years are designed to look like Mom's athletic sneaker. Featuring pink trim and a hook and loop ankle strap, this baby shoe is perfect for a pre-walker or beginner walker. 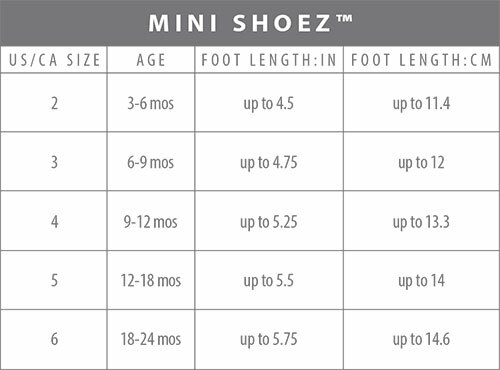 These shoes are great for little ones just learning to walk. My one year old seems to find them comfortable and likes wearing them. 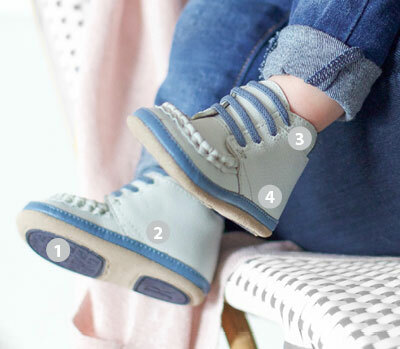 She is just starting to walk unassisted and these shoes are flexible so she is not tripping up in them yet do have adequate support for her little feet. I’m very disappointment with our first Robeez purchase. My 2 year old has been wearing her new shoes for 3 weeks; the back of both are losing the stitching and one has a complete hole just above her heal! I can fit my finger through it. The shoes are in fact wonderful for her to walk in and very cute but do not last! Robeez Note: We are sorry you are having issues with this shoe. Please contact our Customer Service team and they will help you. We stand by our shoes and want you to be happy with your purchase.